Marked on both sides of the instrument: "MARINE BAND, M. Hohner, 1 2 3 4 5 6 7 8 9 10"
Description: Wooden harmonica with metal strips down each side. 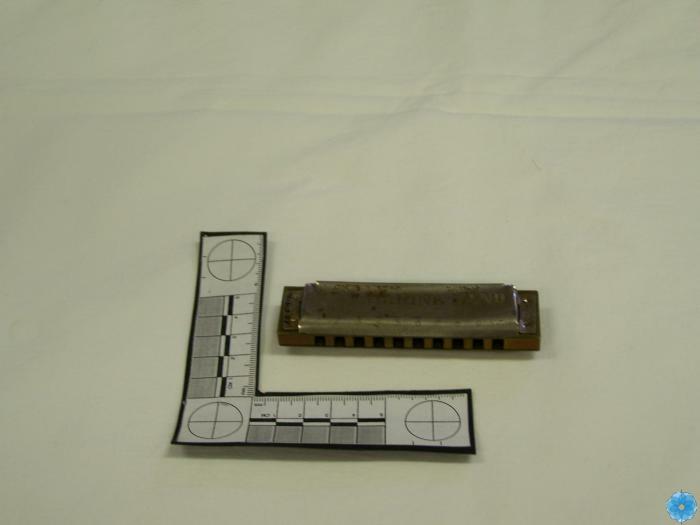 History of Use: Harmonica was purchased and used by Osborne Higgins of Crowe's Mills, NS. 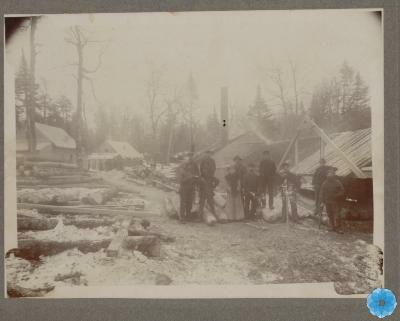 Mr. Higgins ran the sawmill in Crowe's Mills and was a talented musician who played many instruments. Mr. Higgins played the harmonica at church, home, and at local kitchen parties.